Sexual assault is complicated, but the claims the president made are wrong. Judge Brett Kavanaugh's nomination to the Supreme Court was upended this past Sunday when Christine Blasey Ford went public with an accusation that Kavanaugh sexually assaulted her when they were both in high school 36 years ago. Suddenly, what seemed an inevitable appointment to the Supreme Court was thrown into jeopardy, and President Donald Trump found his pick to alter the balance of the court thrust into an impassioned cultural awakening surrounding sexual misconduct. So much about sexual assault is so complicated, but the claims the president made this week are not. They're just wrong. There's just one fact check this Friday. During his campaign, Trump was faced with accusations from roughly a dozen women, all of whom he branded liars with a political agenda. More recently, he continued to endorse Alabama's Republican candidate for Senate, Roy Moore, as accusations of sexual assault mounted. Moore denied all allegations against him. 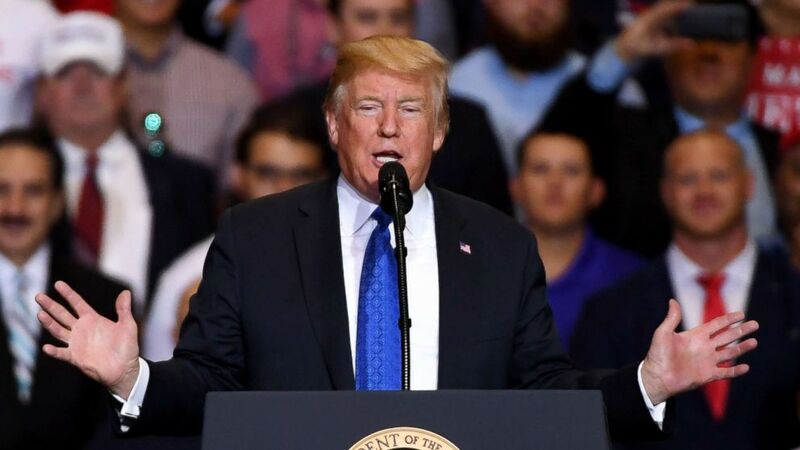 Trump also came to the defense of Fox News giants Bill O'Reilly and Roger Ailes, both of whom eventually lost their careers over the allegations against them. So it was unusual when, at first, the president showed restraint towards Kavanaugh's accuser. (Ethan Miller/Getty Images) President Donald Trump speaks during a campaign rally at the Las Vegas Convention Center on Sept. 20, 2018, in Las Vegas. Trump, who flew out to show support for Republican Sen. Dean Heller, said that his Supreme Court nominee, Brett Kavanaugh "is going to be just fine." Friday morning the president declared in a tweet he has "no doubt" that if the attack occurred as she described it she would have reported it to authorities at the time it happened. But what the president seems to ignore is the tragic fact that the overwhelming majority of sexual assaults go unreported. "I have no doubt that, if the attack on Dr. Ford was as bad as she says, charges would have been immediately filed with local Law Enforcement Authorities by either her or her loving parents. I ask that she bring those filings forward so that we can learn date, time, and place!" (Researchgate.net | AFP/Getty Images) Professor Christine Blasey Ford is seen in an undated photo posted to ResearchGate and Supreme Court Justice nominee Brett Kavanaugh appears at a confirmation hearing in Washington, Sept. 4, 2018. The statistics surrounding sexual assault reporting suggest that a 15-year old high school girl might find it difficult to muster the courage to upend her life and tell authorities about a sexual assault by a peer. According to the Bureau of Justice Statistics, which used data from it's National Crime Victimization Survey, 65 percent of sexual assaults went unreported between 2006-2010. Furthermore, the same survey from 2016 shows that only 23 percent of sexual assaults or rapes were reported to police. Also, the president's demand that Ford produce "filings" from law enforcement officials ignores her claim that she never told anyone about the alleged assault until years later. 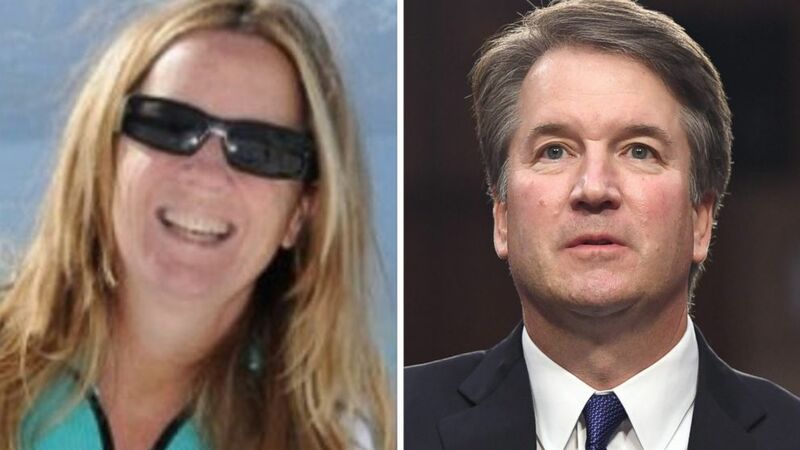 It does raise the question about whether or not he should ask the FBI to do additional fact-finding, as Ford has requested, which he has so far refused to do. Sen. Susan Collins, a moderate Republican who earlier this week suggested Ford ought to testify next Monday, said in an interview Friday she was "appalled by the president's tweet." Here's another important statistic to consider: according to National Sexual Violence Resource Center, it's the percentage of women to falsely report allegations of sexual assault is low. Various studies found that a range between 2 percent and 10 percent of falsely reported accusations. And 81 percent of women report significant short- or long-term impacts such as post-traumatic stress disorder. Meantime lawyers for Ford are asking the Senate Judiciary Committee to schedule a hearing for her to be heard on Thursday, allowing time for Ford to make the drive from California to Washington D.C. Ford's friend, Kate Devarney, told CNN this week that Ford's fear of flying is directly related to her allegation of assault, and that an airplane is "the ultimate closed space where you cannot get away."